Professional sound recording is very easy to spot: it sounds so wide and with great ambiance. Do you think this is a very difficult technique? No, the technique is very easy. 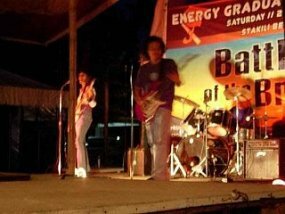 Think of live sound recording or a band playing live in front of you. What do you see and feel? a. The stage is set wide compared to a human listener. c. If there are two guitarists, having the two guitars playing two guitar will create some delays adding depth to the sound. d. Reflections causing depths like echo or reverb as well as the size of the stage. 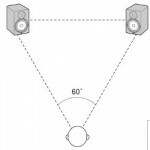 These are the principles of creating wide stereo ambiance in your recording. So how can we do this during the music production process??? The short answer is to do this correctly during the recording and mixing process. You cannot make some miracles during mastering process to create depths except widening the stereo. Although stereo widening and enhancement are common audio mastering processes, it is also important you should attention to the stereo image during the audio mixing process. Believe me or not, but double recording is a very effective technique. To do this is to double record in left and right tracks in the stereo field. For example: I record on the left (panned -50 or to your own preferred choice) channel, then record again on the right channel (panned with the same value as the left) same track. This will produce doubling effect and the little delay in the notes creates cool ambiance in your recording. For even better result, you will not only do this once, but do several takes to even create a better stereo ambiance. Panned it in different locations farther from the center like 95%, 75%, 60%, etc. This is a very effective technique in improving the guitar sound in the mix. 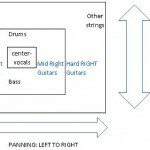 I suggest you would be reading this tutorial on recording overdubs for guitars. For vocals, double recording is also recommended but panning assignments would not be as wide as those used in the guitar. You might want to assign a distinct EQ settings for each of those tracks to give their unique sound in the mix.